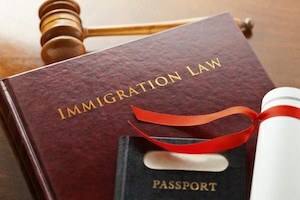 A winning application for Cancellation of Removal provides needed immigration relief for non-citizens in removal proceedings to prevent deportation from the United States. Cancellation of Removal is available only once, and will be denied if the applicant ever received it in the past for any reason. It is important to recognize that there are different US immigration law requirements for non-citizens that are not Lawful Permanent Residents, and persons that are Lawful Permanent Residents (LPRs) for Cancellation of Removal. 4. the non-citizen's removal would cause an exceptional and extremely unusual hardship to the non-citizen's lawful permanent resident or US citizen spouse, child, or parent (also known as a qualifying relative). Immigration Judges are often cautious in their approaches to approve Cancellation of Removal, because the standard of proof of "exceptional and unusual hardship" is an extremely high and difficult burden. The Immigration Court will scrutinize whether the applicant possesses good moral character, and whether an exceptional and extremely unusual hardship actually exists. If the alien cannot receive Cancellation of Removal because of eligibility issues (such as criminal grounds, antiterrorism grounds, the individual is crewman who entered after June 30, 1964, the individual is considered a certain J visa exchange visitors that did not satisfy their two year requirement, the individual previously was granted Cancellation of Removal, the individual does not meet all of the other requirements outlined above, etc.) the Immigration Judge will not grant the Cancellation of Removal application, no matter what the hardship or compelling reason. Cancellation of Removal is only available for aliens who are already in removal proceedings with an Immigration Court. However, a non-citizen should never place himself or herself into potential jeopardy by seeking to be placed into removal proceedings to try to obtain Cancellation of Removal, even if the individual believes he or she has a very strong and viable case. 6. merits a favorable exercise of discretion. 5. is able to convince the Immigration Judge that the positive factors for keeping the individual in the US outweighs the reason for removal of the individual. INA section 212(c) is a very convoluted but extremely important avenue for immigration relief that also gives Lawful Permanent Residents a chance to avoid deportation despite the fact that they are determined to be inadmissible and/or deportable. However, there are many possible grounds to lose and other huge obstacles, for which hiring an experienced and dedicated immigration lawyer to represent you is absolutely mandatory. The reason INA section 212(c) relief is treasured by applicants is due to the fact that it [unlike other forms of United States immigration relief] gives the Immigration Judge the power to waive all grounds of inadmissibility, and also the burden is often easier to meet than the standard of "extreme hardship" under INA section 212(h). INA section 212(c) Cancellation of Removal provides that the inadmissibility or deportation of the non-citizen is based on one or more criminal convictions from before April 1, 1997, the non-citizen has not received Cancellation of Removal on a past occasion, and the non-citizen must have seven years of lawful unrelinquished domicile in the United States. The Cancellation of Removal information that you just read is subject to modification, change, or repeal without notice, and is only intended to encourage you to seek help from a highly experienced immigration professional. You need to hire an experienced immigration lawyer to give you sound legal advice, to develop a comprehensive immigration defense strategy, and to fully and properly represent you in Immigration Court. Existing or changing US immigration policy, relevant case law, and statutory law may impact your ability to receive Cancellation of Removal (for example, "stop clock" provisions based upon certain criminal convictions of the individual that may impact an Immigration Judge's calculation of how long the non-citizen was deemed to be physically present in the United States in order to qualify for Cancellation of Removal). There are possibly other kinds of US immigration relief that are potentially available to the alien beyond what is stated herein, and a experienced immigration lawyer is in the best position to tell you your options (for example, other forms may potentially include any of the following: I-192, I-212, 601, 601A, asylum, CAT (Convention Against Torture), withholding or removal, 212(h) waiver, U visa, S visa, T visa, CSPA, etc). For all US immigration issues an alien should seek proper representation from an intelligent immigration professional, such as the lawyers at Hilf & Hilf, PLC.